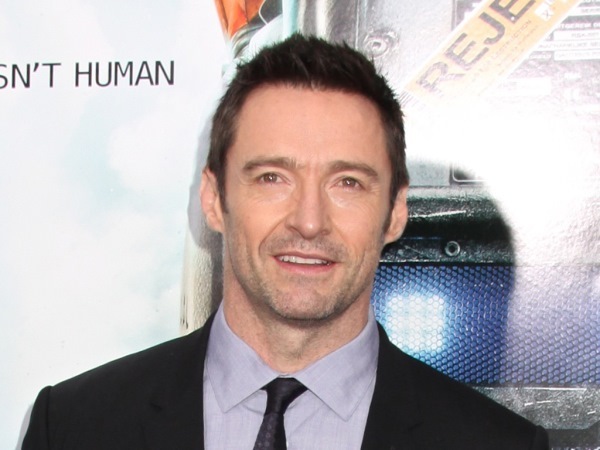 Hugh Jackman has had four skin cancers removed over the last 18 months. The 46-year-old actor first became concerned after discovering a mark on his nose at the end of 2013, which he initially thought was caused by the claws worn for his X-Men character Wolverine. However, after his make-up artist urged him to get it checked and his wife Deborra-Lee Furness echoed this notion, Hugh was hit with the life-changing revelation. "It's always a bit of a shock just hearing the word 'cancer'. Being an Australian it's a very common thing. I never wore sunscreen growing up so I was a prime candidate for it," he explained to People magazine of his basal cell carcinoma, one of three main types of skin cancer. "I was trying to keep calm about it but it wasn't until [his skin cancer surgeon] Dr. Michael Albom really explained to me that what I had, in a way, was the kind of skin cancer you want to have if you're going to have it. Basal cell carcinoma is just something you have to deal with. It's cancerous. It will grow. You just have to get it out." Hugh has had three cancers eliminated from his nose and another from his shoulder in the last year and a half and his experiences have triggered him to launch Pure Sun Defense, a sunscreen line for kids. With two children of his own, Ava and Oscar, the star is consciously making an effort to keep himself free of the growths. "I go every three months for checkups," he said. "It's the new normal for me. My doctor says I'll likely have more and if that's your cross to bear in life, you should be so lucky." Dr. Albom added that people should look out for growths, lumps or bumps that appear to be "a little odd". He also praises Hugh for helping raise awareness for the masses with his star status. "I give Hugh a lot of credit for speaking out," the expert said. "Hugh is on top of his game because he has been through this enough times now that he is acting on it properly. He is doing great and we are thrilled."